A few months ago, my face got another acne attacks again! At that time, I was using cleanser products from mixed brands: oil cleanser from Kose Softymo, Clean&Clear facial wash, and facial scrub from St. Ives. I neither scrubbed nor used face mask regularly, which probably caused my breakout :( And my moisturizer was from Clinique anti-blemish range, which was already reviewed on one of my previous posts. OK, I think that regime didn't work out for me! 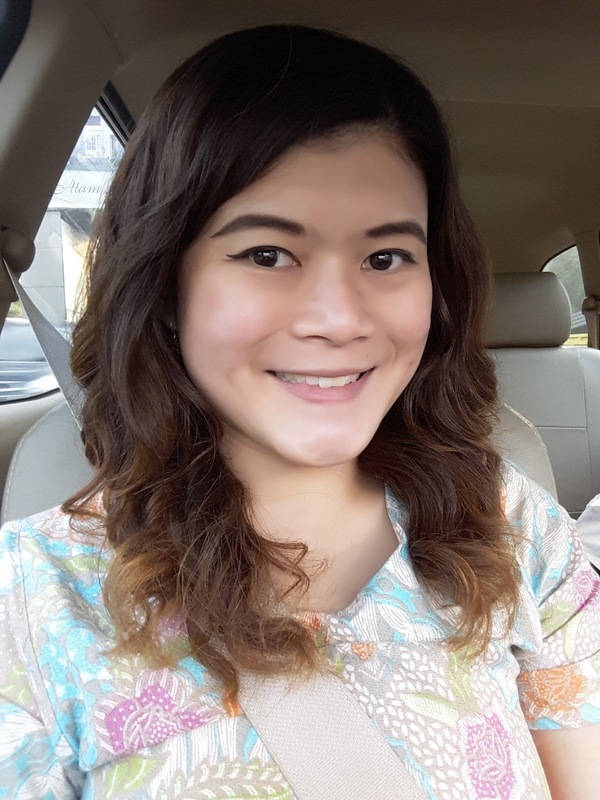 Therefore I returned to Dr. Wong's Klinik Permata acne-care products. After 2-3 months, my acnes had not recovered entirely. I was quite desperate and lazy to go back to the clinic and purchase the products. So, I talked to some colleagues and got advised to try common acne solution products. And finally, after browsing and having a little research on some skin care brands, I decided to give these products a shot: Sebamed Clear Face Gentle Scrub, Cetaphil Gentle Skin Cleanser, Sebamed Clear Face Anti-pimple Gel, Bioderma Sensibio Tonique, Avene Hydrance Optimale and Kiehl's Clearly Corrective Dark Spot Solution Serum. 1. Sebamed Clear Face Gentle Scrub 150gr. I use this scrub almost everyday for more than a month now. 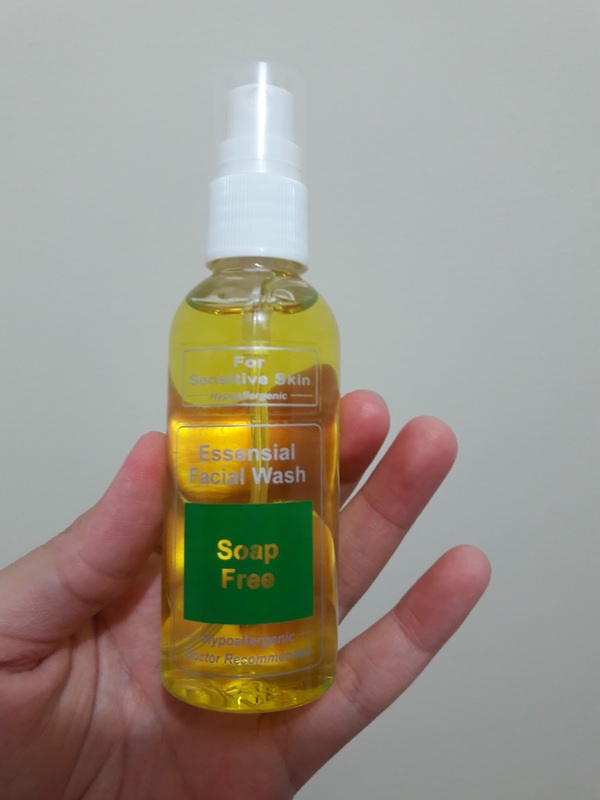 I usually only use it at night, after cleansing my makeup with cleansing oil. I just think scrubbing can cleanse my face better since it removes the oil and dirt to the pores. I don't scrub twice a day because I don't see it necessary to scrub in the morning and to avoid my skin from drying. So far, I think Sebamed does a great job cleansing my skin. It doesn't dry my skin and really improves my skin condition from acne. The texture of the product is creamy and quite thick with white cream color and blue scrub beads. This has no fragrance and soap. I believe I bought this at IDR 155k (approx. 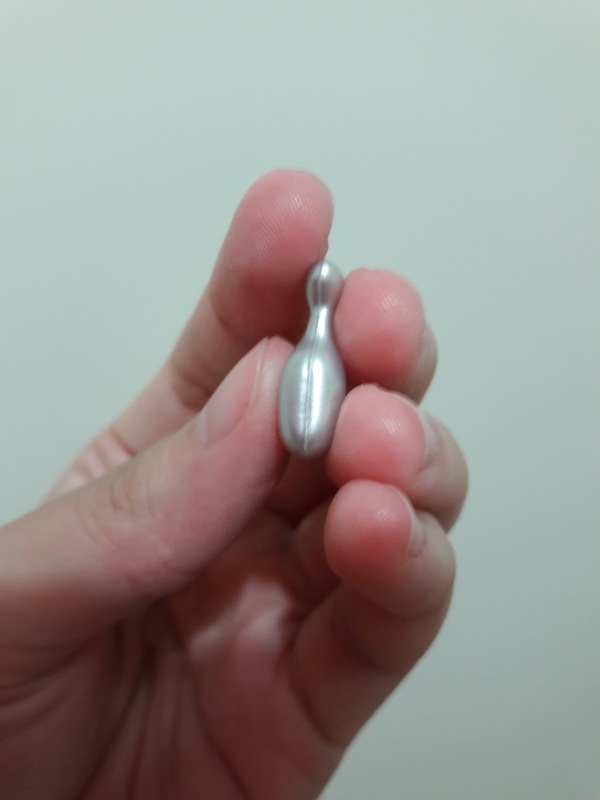 US$ 12). This product only comes in one size, which is 150gr. I think it's a fair price for such amount and product quality. This was recommended by my colleague. She said she has been using it for quite a while and recommended it to a few friends who finally like it too. This cleanser comes in 2 variants: for all skin type and oily skin. Since I have used Sebamed Scrub for oily skin, I don't want my second cleanser to be oil-absorbing too. So, I opted for this one and am happy that I did. This product has jelly (or jell-o??) texture which looks a bit like boogey (euuhh!!). This gel cleanser has no solid color. It is unscented and soap-free. I think this makes a good cleanser for people with sensitive skin. This cleanser can also be used for body cleanser. The price for 125mL packsize is IDR 125K (approx. US$ 9) but it is often discounted at 30% at Watsons and Guardian. This product works pretty well on me. But, because it doesn't have foam, sometimes I feel like it doesn't cleanse my skin as clean as I'd like. Which is probably why I usually use it in the morning, before applying makeup. It is very light and can also be used without rinsing your face but wiping wet towel on your face. I rate this product 4.5 out of 5. Somehow, I feel cleaner with a little bit of foam in my facial wash. I just bought this one yesterday and have used it only twice. I will update this review later after 1-2 weeks. I bought this at Guardian for IDR 264K (approx. US$ 20). 4. Sebamed Clear Face Anti-pimple Gel 10gr. I really like this product! It has a very light and clear gel texture, which is pretty similar to the acne-gel from dr. Wong. It neither affects my makeup nor dry my skin surface. I combine this one with my Mario Badescu drying cream and acne serum, which I only use at night. I apply this on the acne spots after face toner and before serum/moisturizer. I rate this product 4 out of 5 since I still have no idea whether it can banish cystic and severe acnes. I bought this at Guardian for IDR 90K (approx. US$ 7). A few months ago when I had some serious breakouts on my face, I thought I needed something to cover up the redness on my cheeks. I usually only have my Lancome BB complete during daytime, which only gives me a light coverage. Then, I looked for a loose powder that has more coverage but is still safe for acne prone skin. Laura Mercier turned out to be one of the best loose powders on the list of a beauty website. Thus, I asked my mum to buy one for me during her travel to Hong Kong. Yes, it's not available in Jakarta, yet! But you can actually buy it online at some Instagram sellers or local beauty-shop websites. And finally, I got this! I was excited to try it out and see how it goes on me. Now, let's take a look at the packaging first! 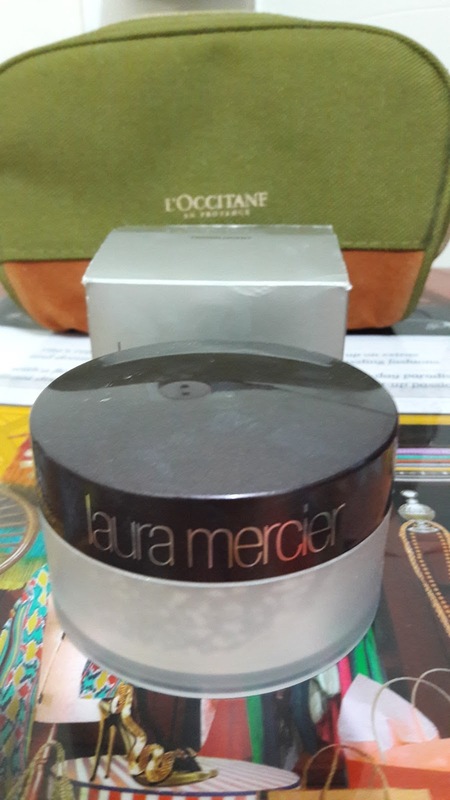 Laura Mercier Translucent Loose Powder comes in a clear plastic jar with a dark brown cap. 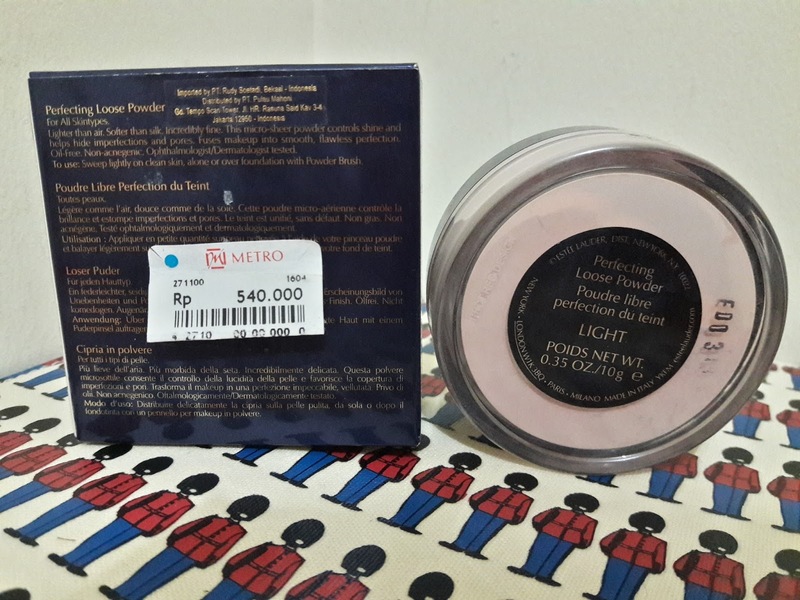 For the price of IDR 650,000 (USD $50), you get quite a generous amount of powder, which is 29gr.! There's no powder sponge/puff provided in the package. I think it's because they suggests you to use a powder brush instead of sponge/puff. I got mine in translucent color, which I think, is the most popular shade. Long story short, I found the product that I supposed would suit my skin. 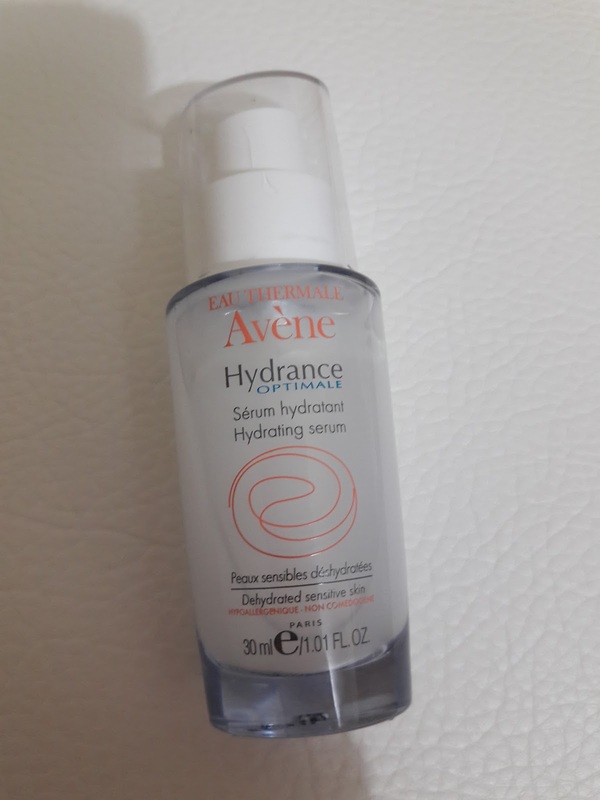 It is Avene Hydrance Optimale Hydrating Serum. It's another French brand that looks a lot like Bioderma. But probably with a higher price range. It claims to be hypoallergenic, non-comedogenic and suitable for dehydrated sensitive skin. The serum has some faint scent that smells like floral and water. The texture, as I said, is a bit thick for serum. But, it glides very nicely on the skin and absorbs well. There's no heavy feeling, it just feels like water that doesn't leave any excess oil (probably because it's oil-free :p ) on my face. It's such a good base for a BB cream! On the box, it's says that this serum is to be used after moisturizer, which I think pretty weird. I mean, serum is usually applied after toner and before moisturizer. But anyway, I don't use any other moisturizer after this since I think I already get the right dose of moisturizer from this alone. Note: I have a normal to dry skin and live in a tropic area that tends to be humid. If I happened to live in drier climate, I would probably need to add one layer of moisturizer on top of it. I have been using this for a week now and there has been no breakout. I have stopped using skin care from dr. Wong for almost weeks and I am really happy because my skin continues to recover from acnes without looking dehydrated. 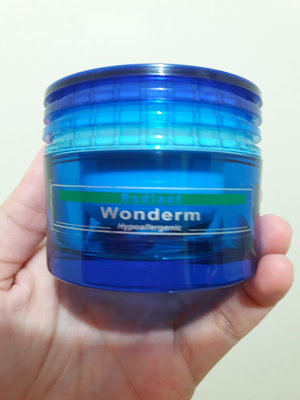 I highly recommend this product for everyone that only wants to add some hydration to his/her skin since it doesn't have any additional benefits besides hydration. Price wise, I think it's a bit expensive for a drugstore brand. But, if you do have sensitive skin, I think it's worth trying a product with some quality like this one. So, I've been changing quite a few makeup products lately. It started when I was tempted to try Kanebo Lunasol Skin Contrast Loose Powder that finally caused me horrible breakout! Then of course that Laneige BB Cushion too! Gosh, my skin has really become sensitive and acne prone now :( Having said that those products caused me bad breakouts, doesn't mean they'd do the same to you. They look really well on my skin, especially that Kanebo Loose Powder. But, I think they contain some ingredients like silicone, that is not suitable for acne-prone skin like mine. Btw, I gave my Laneige BB Cushion to my mum. She's been wearing it everyday and it really looks good on her. It doesn't cause any bad impacts on her skin so far. 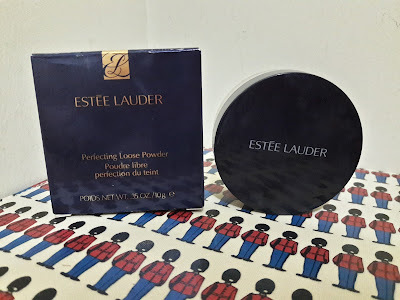 Before buying this Estee Lauder, I actually had just bought Laura Mercier Loose Powder. But, that one also doesn't work well on me :( I was pretty disappointed since I've read good reviews on that. 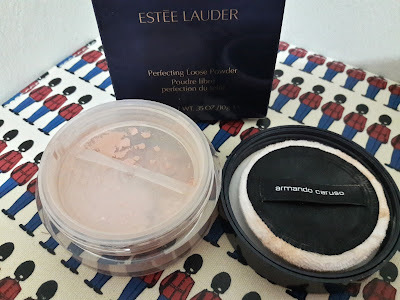 So, I started doing research again and finally found good reviews on Estee Lauder Double Wear foundation. People say that Estee Lauder makeup products are highly recommended for acne-prone skin. 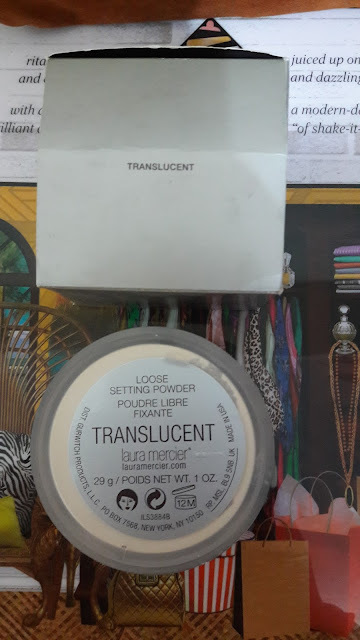 I went to the nearest department store that sells the brand (because the distribution is quite limited to selected stores in Jakarta) and directly asked for the loose powder to the Beauty Advisor (BA). She suggested me to get the lightest color. The service was good, she asked for my phone number to invite me for the upcoming beauty class. Besides the loose powder, I also tried one of the liquid lipsticks they have. I was really tempted (as usual! :p ) but only bought that loose powder at the end, since it's quite expensive already. It costs IDR 540k (approximately US$ 41) for 10gr. Now, let's take a look at the packaging of the product. It's made of clear plastic jar with purplish blue lid. It has a very simple and chic design, which is perfect for career women image. On the box it says to be applied with powder brush, which is why it doesn't come with a powder puff. 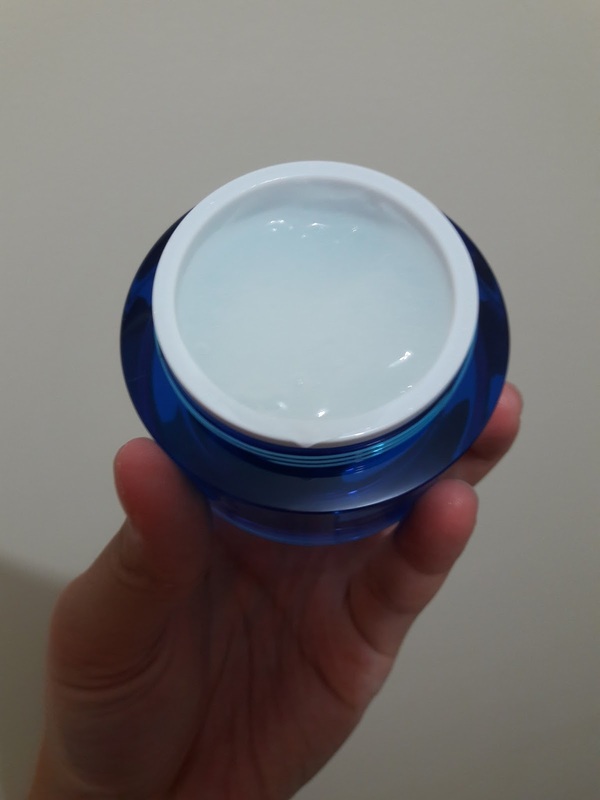 The small holes on the plastic separator inside the jar only spread on half of the circle and are closed with an extra separator to prevent the powder from spilling out and get messy. The powder itself is very finely milled and unscented. It comes in 4 colors. It doesn't give a lot coverage to your face. I think it's just very good to control shine and cover a little bit of the pores. 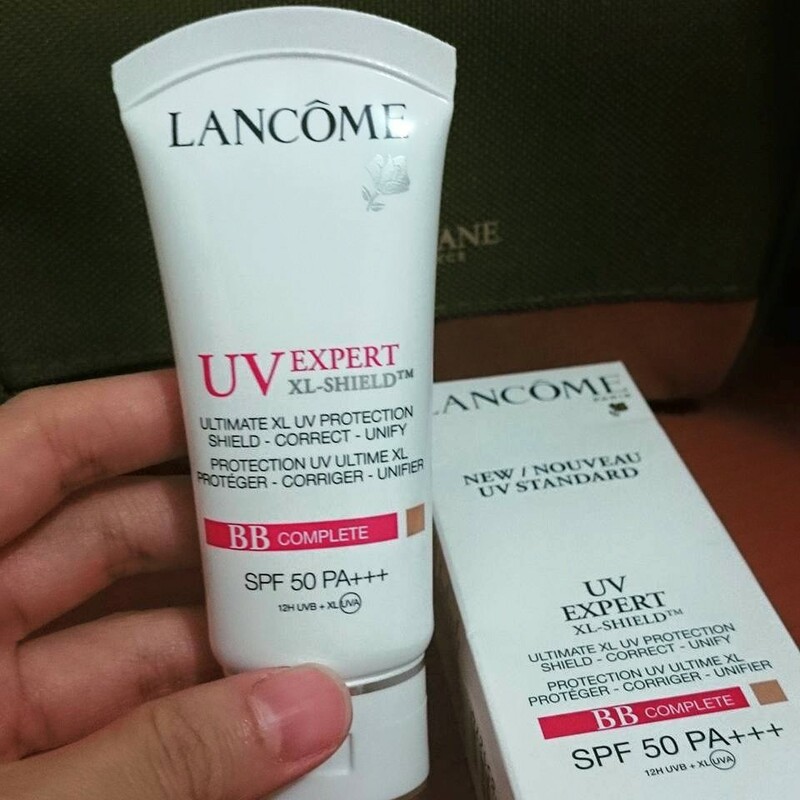 I always wear it on top of my Lancome BB Cream and they work just great together! It doesn't cover the redness of my acnes but I think it helps to make my skin look a bit better, healthier and also smoother. If you like a 'no makeup look', you're gonna LOVE it, A LOT! :) It is most suitable for everyday makeup. The product claims to be oil-free and non-acnegenic. I've been using this for about 2 weeks and my skin keeps improving everyday even though I wear it almost everyday. All my acnes have shrunk now and unlike when I used Kanebo, Laneige or Laura Mercier, new big acnes don't pop out again. I rate this product 5 out of 5. I think I like everything about the product: the packaging, the texture of the powder, the look it creates, and the fact that it doesn't cause breakout to my skin. The price seems to be quite fair for the quality and brand image. Will totally repurchase and recommend this! Long story short, I found out about dr. Wong clinic online: dropped by an old blogpost and beauty forum (femaledaily). I decided to give it a try after Mario Badescu acne treatment range failed me. I called one of the clinics (they have 3 branches in Jakarta) in Kebayoran Baru area to reserve a consultation schedule. And YES, you MUST make an appointment by phone early in the morning since customers are queuing to see dr. Wong. This is a very gentle scrub that is safe for daily use. I use it twice a day: in the morning and evening after cleansing oil. The scrubs don't irritate skin and doesn't dry out my skin. It is lightly scented. This facial foam is very gentle on skin. I use it twice a day after the scrub. Toner is a must have product for acne-prone skin since it wipes out the residue of the dirt that's left after facial foam. This toner is not drying and lightly scented. This is the most expensive product in the whole range. It costs IDR 8k per-piece and I use 1pc per-usage, which means 2pcs/day. I usually buy 60pcs for one-month usage. Apply the serum all-over your face and your skin is nicely moisturised and looks healthy instantly. This product is also scented. After applying the serum, pat the acne gel only on the acne areas. It has not cleared entirely since I have been changing loose powders (bye-bye Kanebo & Laura Mercier :'( ) that caused my breakout even worse. But the big acnes already shrunk, so I think I can say it actually has improved. Right now I just stick to the skin care regime but if things don't get better, I might go to see dr. Wong again. Wish me luck! Otherwise, the cost will be such a pain! I previously have written about Bobbi Brown BB cream and I absolutely love it! But since the UV protection from Bobbi Brown is only SPF 35, so I thought I needed to wear something with more protection to UV light. Thus, I found Lancome BB Complete with SPF 50 and PA+++. I think I already bought this Lancome BB last year and have been wearing it very often since then. But at first, I didn't like this BB since it's too greasy even after I set it with Clinique compact or loose powder. But apparently, this was because of the moisturiser I used that time. I used to wear Clinique Dramatically Different Moisturizing Lotion or Even Better Brightening Moisture Cream Plus at that time. 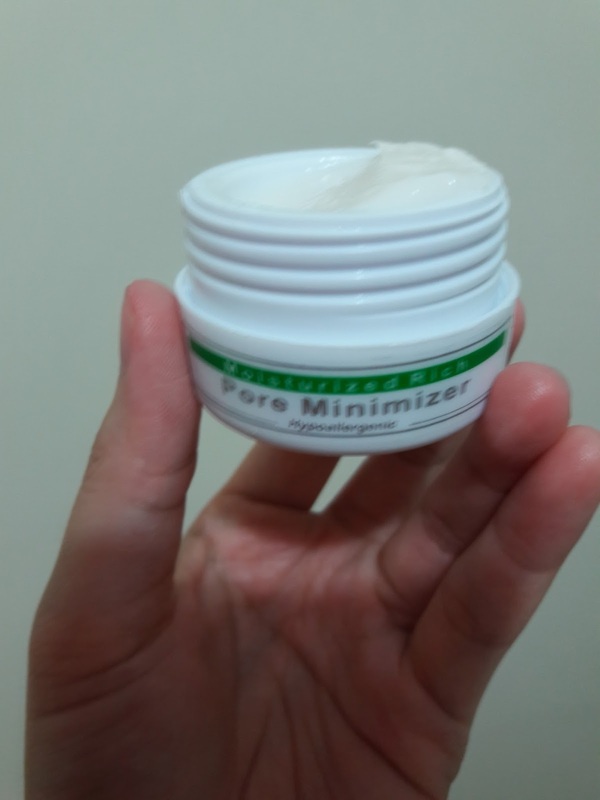 While those products did give me the moisture I'd want my skin to have, the humidity in Jakarta is just not suitable for these kinds of moisturiser. 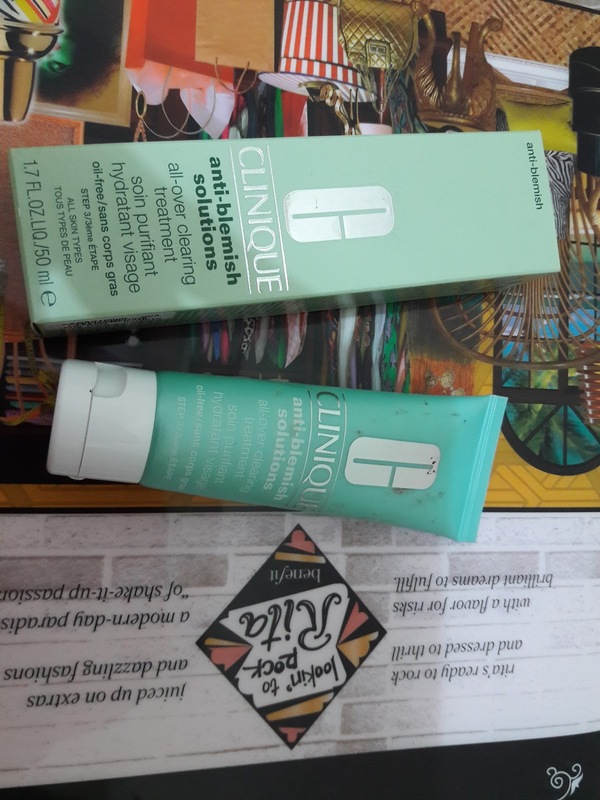 But then, a few months ago since my skin started to have breakouts again, I switched to Clinique anti-blemish solutions that is less oily than the 2 other products I had used. I realised that this BB cream actually turns out very brilliantly on me! It has enough moisturiser to blend easily and sits nicely on my skin. It gives my skin radiant and healthy glow. It is very light that some people think it's just my bare skin without any makeup :) I just wish my skin was free from breakouts since this BB doesn't cover redness from my pimples. It just helps to even out skin tone and gives glow to skin. Like most of the mid to high-end BB creams, Lancome BB Complete doesn't look cakey nor oxidise after a few hours. Though my skin looks a bit shiny after a long day, it still doesn't wash away, except after I go thru a gym session. If you don't have too much to cover, I think this BB alone goes well with powder blush. They're just enough to give you natural flushed skin for daily look. I absolutely L-O-V-E it! Just blot the excess grease with an oil blotting paper and voila, you're good to go! The packaging comes in white plastic squeeze tube with a flip cap, just like a regular BB cream packaging. The texture is in between creamy and lotiony but a bit lighter than the Bobbi Brown BB. The color is also brighter than the Bobbi Brown, which makes sense since it has less coverage and creates more natural look than the Bobbi Brown BB. On the downside, this BB cream is actually quite pricey. It costs IDR 750k (around US$ 57) for a 30mL size. And you sure need a good concealer if you have pimples or scars to cover. Finally, I rate this product 4.5 out of 5 for the look it creates, UV protection and no negative effects to my acne-prone skin. The only downside of this is just the price. But oh well, isn't that just an average price for such a top brand? 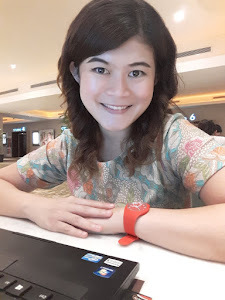 I have been having partial face (mostly on the cheeks) but continuous breakouts these past few months since I tried to reduce using skin care regime from my dermatologist. 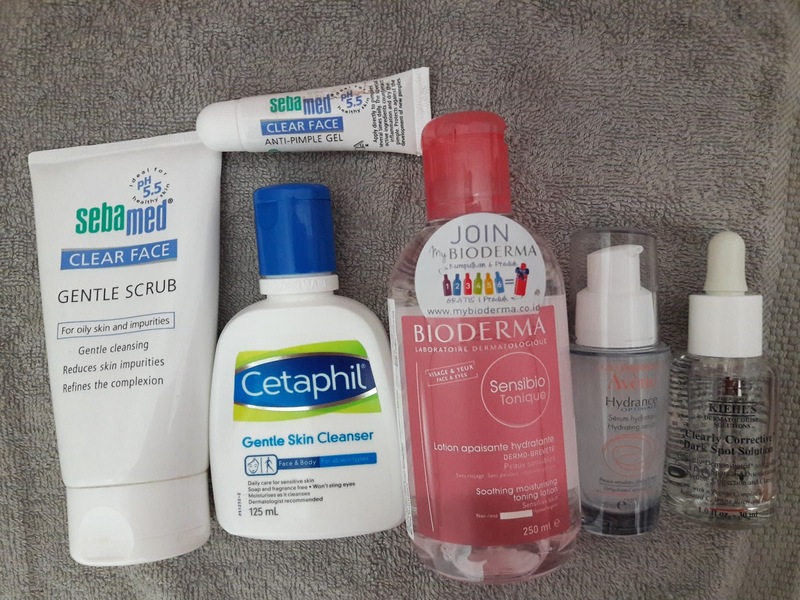 I have been changing my skin care products, especially moisturiser and serums since last year but sadly things get worse lately :( I mostly used Clinique brands since it claims to be safe for sensitive skin and oil-free. And the makeup products I had used like loose and compact powders actually did well on me, except that they didn't absorb the oil excess from the moisturiser and BB creams and couldn't cover redness whenever I have acnes. 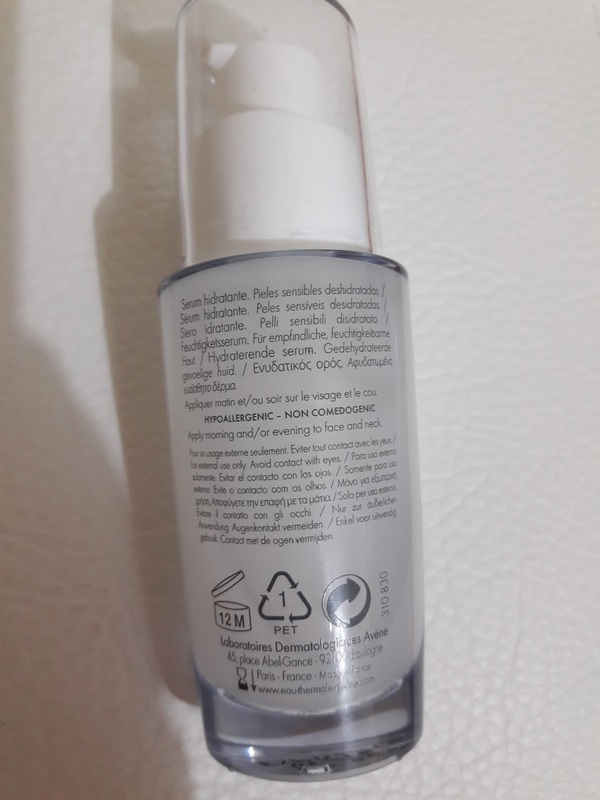 So, I have tried quite a few products from this brand and today I want to share my experience with one of their anti-blemish line: all-over clearing treatment. So, the product comes in a green plastic squeeze tube with a white flip cap. This only comes in 1 size which is 50mL and sold at IDR 355k (around US$ 27). Overall, the package is very simple, and easy to carry in my skin care pouch. The texture of the product itself is quite comfortable since it is watery. It looks like lotion with white color but it feels like gel. It's easy to apply on skin and absorbs well and leaves no white cast. Like all other Clinique products, this moisturiser is not scented. The moisturising effect is quite good for normal to oily and combination skin. It also helps my BB cream to glide and sit well on my skin without feeling greasy nor dry. But of course, I won't recommend this product for people who have dry skin with breakouts since it won't help you improve the dry patches on your acne marks. However, in terms of helping me with my acnes, I don't think it does a good job. 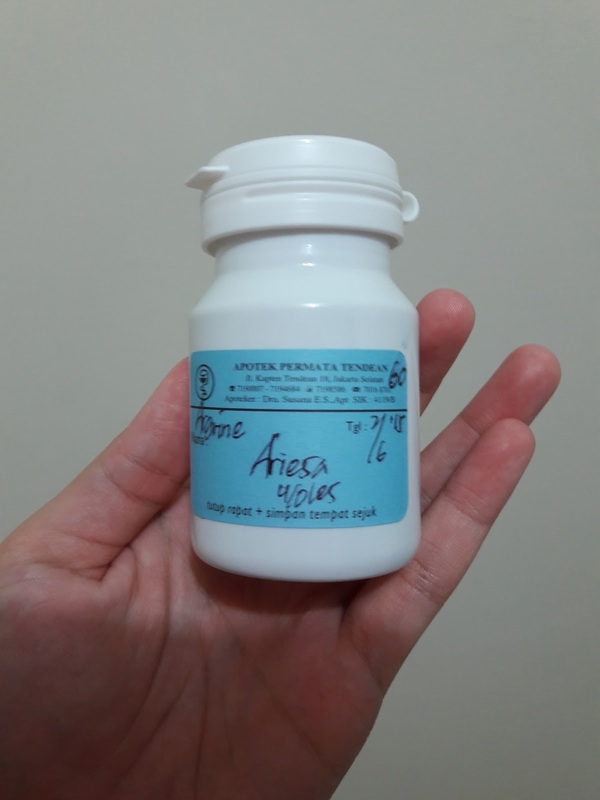 It probably doesn't make me get more acnes but it surely doesn't prevent and combat my acnes. Therefore I decided to stop using this and get back to my dermatologist's skin care routine. I rate this product 2.5 out of 5 for doing a decent moisturising job, the texture and fair price. Unfortunately it doesn't do what it promises, which is a major downside for an anti-blemish solution.